‘Tis the season! The weather in Calgary has finally caught up to the date, and with it, brought our first taste of snow. While fall and winter enthusiasts are celebrating, warm weather lovers are seeking shelter- like our primates in Land of Lemurs! It’s time for the seasonal walkthrough to close until warmer weather returns. So when is the last day? 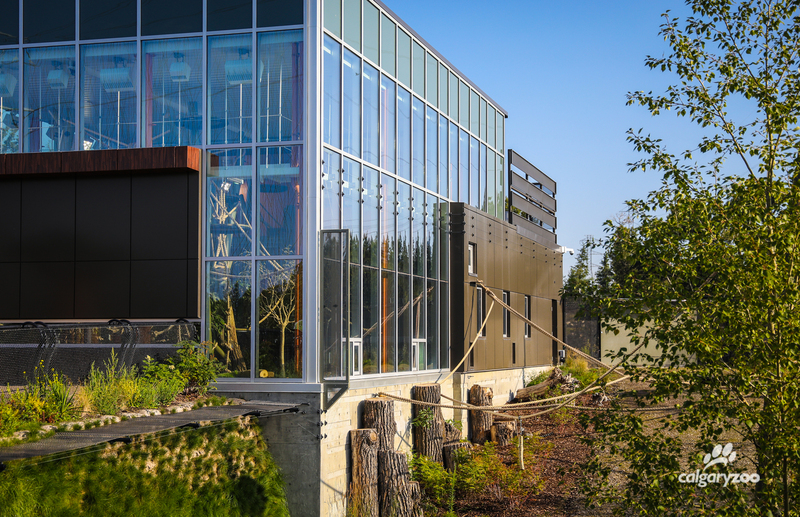 Land of Lemurs has two major animal areas – an immersive outdoor walk-through called the Adventure Loop, and modern glass building that serves as a cozy indoor habitat for our three different lemur species. Since lemurs are from the island of Madagascar in Africa, they are not too fond of snow. As the warm weather departs, our lemurs head indoors to stay warm and dry for most of fall and winter. Therefore, the Land of Lemurs walkthrough will be closed at end of day on October 9, 2017. After this date, the outdoor boardwalk will also close, including the swinging bridges. Guests will still be able to view the lemurs in their indoor habitat from the upper landing. This means that our Lemur Animal Feedings on Mondays at 1 p.m. will continue as part of our free daily programming schedule. Land of Lemurs includes an indoor building for the primates when the weather turns colder. The lemurs can be viewed from the upper landing outside the building. Why did we bring lemurs to Calgary? Over 90 per cent of Madagascar’s forest cover has disappeared, thanks mostly to human activity. As lemur habitat disappears, they do, too. Our lemur troop is here to help spread the word about what’s happening in Madagascar. 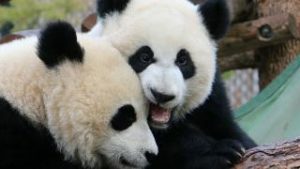 They’re the cutest part of our conservation efforts! Some lemurs are critically endangered and some are considered vulnerable by the International Union for the Conservation of Nature (IUCN), which publishes a “Red List” of species in danger. We’re helping to spread the word about conserving this species, as well as supporting conservation projects on the ground in Madagascar. So no matter the weather or the season, when you visit Land of Lemurs, you can be part of the important conservation conversation. Thank you for supporting wild life conservation! 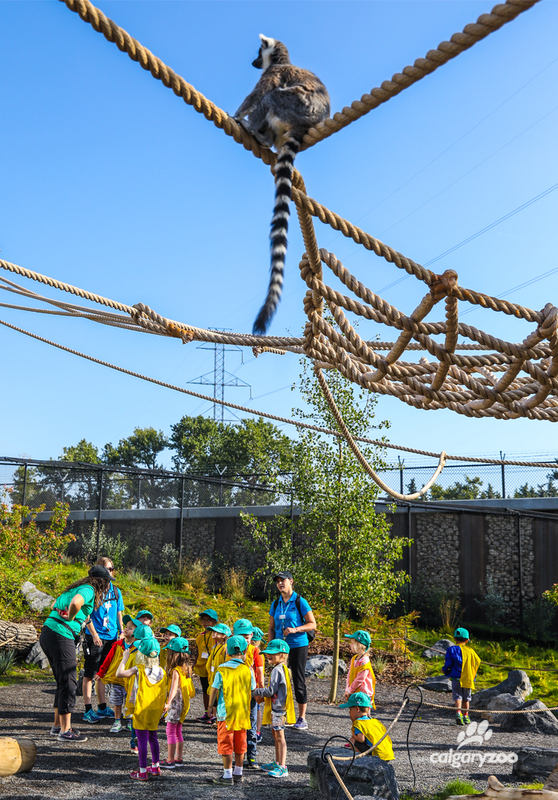 When you visit this new habitat a portion of your admission and membership fees go toward caring for our lemurs and other animals at the zoo, as well as supporting our local and global conservation efforts.